We invited Ryan Hurst (Opie From S.O.A. ), to join my ride club to Sycuan Casino for a cruise. 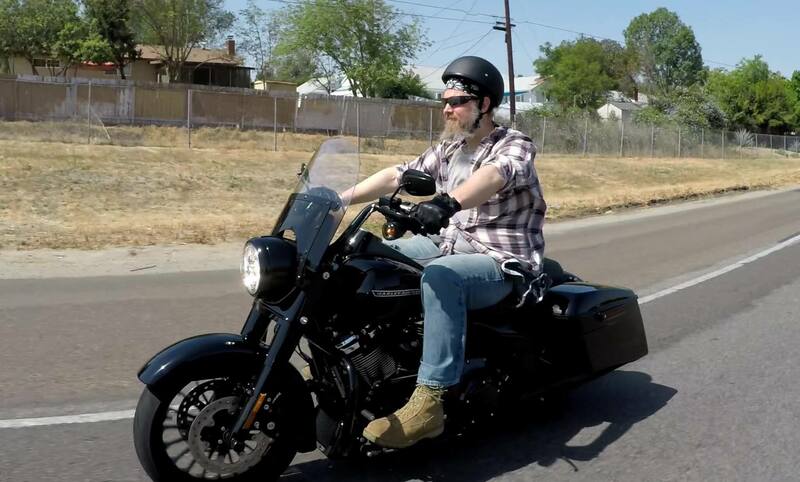 He’s on the 2018 Harley Davidson Road King Special from Biggs Harley Davidson in San Marcos, Ca. Ryan arrived at Santee Coffee Corner where about a hundred bikes were already waiting excitedly to meet him. From the minute he got there for more than 30 minutes he shook hands, took pictures and signed autographs. First impression, he’s huge in stature and in his heart. Super nice dude!!! We went kickstands up and took a 45 mile route through some back Country in San Diego, Jamul and into parts of Dehesa Valley. Temperatures reached 111 degrees and I was worried Ryan might melt in the heat. At a couple of stops I yelled above the engine noise, “Are you ok?” To which he replied with a smile “Yeah Man”, in his Opie style delivery. So cool… We arrived at Sycuan Casino, parked and headed into Game Day Sports Bar And Grill where we were met with smiling faces and a friendly staff. After we finished eating we all walked over to the lobby for a Q&A session where some fans (along with myself), had the opportunity to ask him questions about S.O.A., upcoming projects, his personal life and more. He was a great guest of honor and if you’ve ever wondered what it would be like to meet him I assure you he’s one of the nicest people you’ll encounter. A huge thanks to Sycuan Casino, 101.5 KGB, I Heart Media, Biggs Harley Davidson, Santee Coffee Corner and everyone who was a part of this very special day.